Earlier this week we did an odd thing and sat down and scheduled our lives for the next couple weeks. With Greg’s brother’s wedding fast approaching we need to ensure we’re in Costa Rica sooner than later. When looking at how many days we’ve got and the distance we need to cover, Greg’s first consult was the swell forecast. 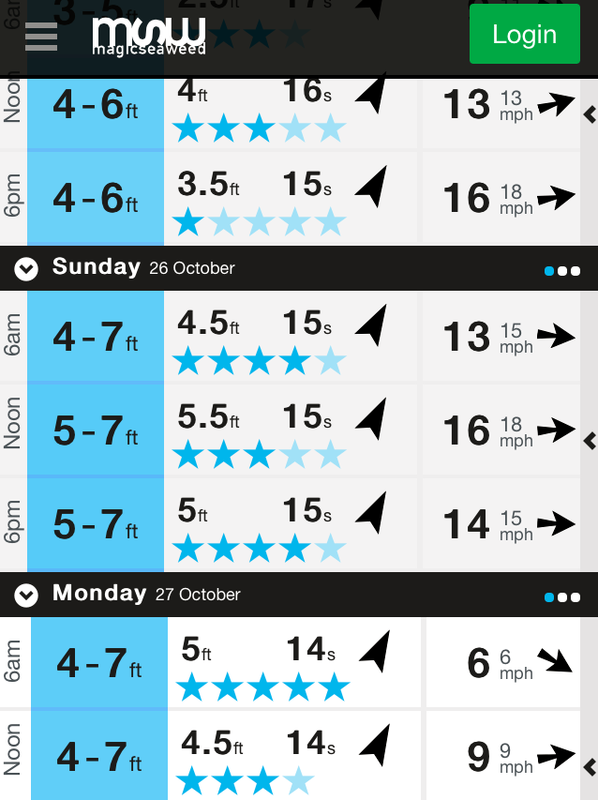 A forecast that was showing near perfect conditions for La Punta’s wave-magnet break. Saturday and Sunday were calling for five stars, 5-8 foot height, with 16 second periods. Perfection, I’m told. Needless to say we scheduled our departure from Santa Catalina for Monday morning. I think Greg’s feelings were hurt when he asked if there was a photo of the new cabinet on the blog and I said no. So here it is – Gregory’s custom cabinet he built to fill the hole of the departed icemaker. 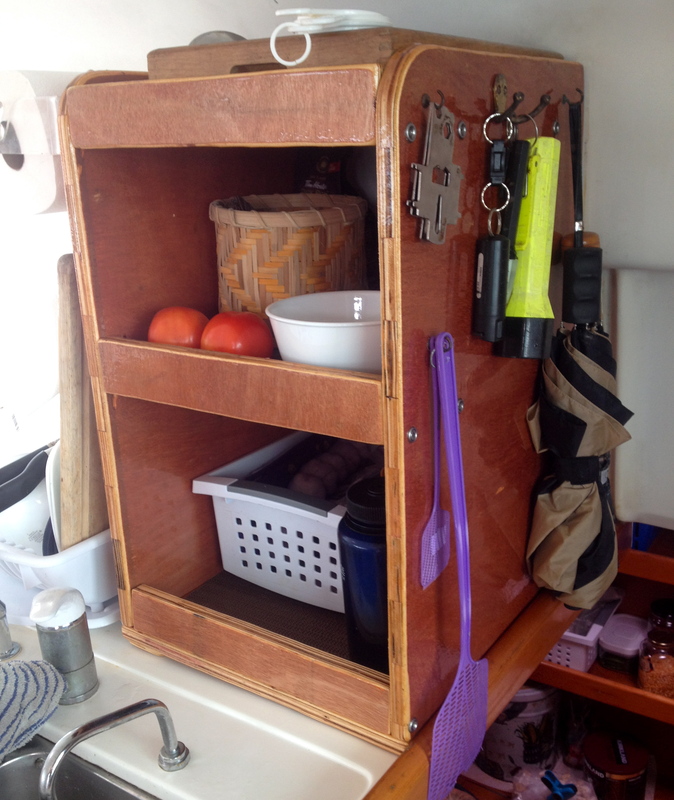 A very functional looking cabinet! YOu are so lucky – what a handyman!